With the day-to-day challenges of running a successful business in the Bay Area, marketing is often a knee-jerk reaction to poor performance rather than the year-round strategic focus it should be. To most effectively utilize your advertising budget, you need the right partner… but how do you choose? A quick internet search for “advertising agencies San Francisco Bay Area” or “top marketing agencies San Francisco” will render results for agencies and marketing firms that specialize in large brands with big pockets (West Advertising), specific customers segments (SGD: seniors/boomers) or in creating connections that “gut-punch them in the A-ha” (Mortar). What you really need is a local Bay Area and Oakland marketing advocate that understands the competitive landscape of your industry and the needs of your core customers: Valpak of the Bay Area. Audience targeting by location, demographics, consumer potential indices and purchase power to meet your marketing goals without waste. Performance tracking dashboard captures every consumer action in response to your direct mail ad, including calls, prints, clicks and views. Call tracking to monitor call volume and how your staff responds to phone inquiries. Use the call recordings as a performance management tool. Bay Area Billboard Advertising – Yay or Nay? Would a billboard ad or wallscape reach your ideal customer? Why would you pay to reach an audience that may or may not be your audience? How do you reasonably gauge the effectiveness of outdoor advertising? Can you easily measure cost per acquisition or your return on investment? Just think about how you interact with billboard advertising. Does it drive you to take action or simply keep your mind occupied in traffic? Flyers & circulars: Share more about your business with the extra space of large print formats. Flyers and circulars work for restaurant menus, special events, automotive sales, furniture stores and more. Cardstock: Stand out with a premium ad in your choice of finish or format. Include a unique code on each piece to prevent misuse and track redemptions to match redeemed offers back to specific addresses. Solo direct mail: The most flexible of our direct mail offerings, solo enables you to mail on your schedule and via the format of your choice. You can provide a mailing list or we’ll create a custom list for you. Business listing: Capitalize on the brand power of Valpak by listing your business on our website (com) and mobile app. Listings include distribution to our network of partner sites for added exposure. Web design: Make a great first impression with a custom website optimized for mobile-friendliness to ensure better performance with search engines like Google. Consumers will be able to access and view your site on any device with a responsive design to fit any screen size. Search engine marketing (SEM): Quickly increase traffic to your website with pay-per-click advertising. SEM services include keyword recommendations and bid management from a Google Premier Partner. Display advertising: Target consumers who have visited your website or your competitors’ sites with display advertising. These eye-catching ads drive brand awareness and include design and ongoing support. Search engine optimization (SEO): Improve your search rankings by optimizing your website content with the most relevant keywords for your business SEO can help increase organic traffic to your site. Social media marketing: Build and engage your fan base on popular social media sites like Facebook, Twitter and Google+. We employ a three-step approach for success – branding, content strategy and connections. Valpak’s Bay Area ad agency makes it easy to advertise when and where you choose with a variety of full-service marketing solutions for every advertising budget. Reach your desired audience in Oakland, Fremont, Hayward, Berkeley, Concord, Vallejo, Walnut Creek and other communities for as little as 3 to 5 cents per household with Valpak. 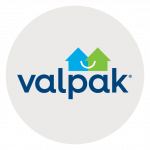 Valpak of Bay Area is an independently owned Valpak franchise. Before Rick Lewis, owner of Gold Rush Jewelers, began advertising with Valpak in the early '90s, he tried several competitors, none of which provided a better return on investment. Gold Jewelers has grown to 5 locations in the North Bay (Santa Rosa, Rohnert Park, Petaluma, Novato and San Rafael) and Rick attributes much of this success to Valpak advertising. He likes that Valpak is easy to work with and flexible to design and offer changes, so he doesn’t waste time. With the expense of customer acquisition and retention, Rick tracks the results of any marketing campaign he runs. Every month, hundreds of new and loyal customers alike visit their local Gold Rush Jewelers to save on jewelry and watch purchases or repairs with Valpak coupons. These results make it a no-brainer for Rick to continue investing his advertising dollars with Valpak. He recommends Valpak’s Bay Area advertising as the “first thing someone does” because it’s a seamless, affordable marketing solution that works.